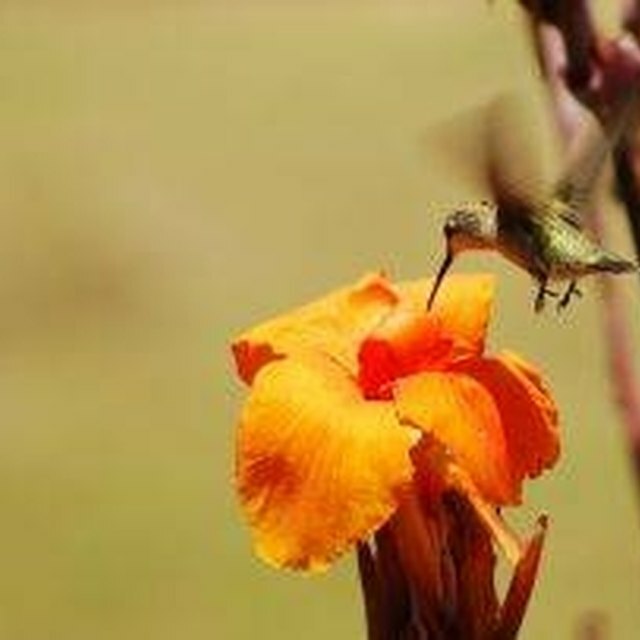 How Do Hummingbirds Help Pollination? What Three Ways Are Animals Important to Plants? How Do Insects Pollinate Flowers? In the spring and summer, insects are all around us. If you spend a few minutes in a garden, you’re sure to see a few fluttering butterflies or hear the sound of bees buzzing around a flower. Did you know that these insects are actually hard at work performing a valuable service? Insects are crucial to pollination, and without them, we would not have many of the fruits, nuts and vegetables we enjoy. Pollination occurs when pollen, a powdery substance containing the plant’s male gametes (reproductive cells), is transferred from the anthers of one flower to the stigma of another flower of the same species. Pollination is necessary in order for a flower to produce seeds. Pollen grains have no way to move by themselves; they must depend on an outside source for help. A few flowers use wind or water to transfer pollen, but most depend on pollinator animals such as birds and insects to assist in the process. 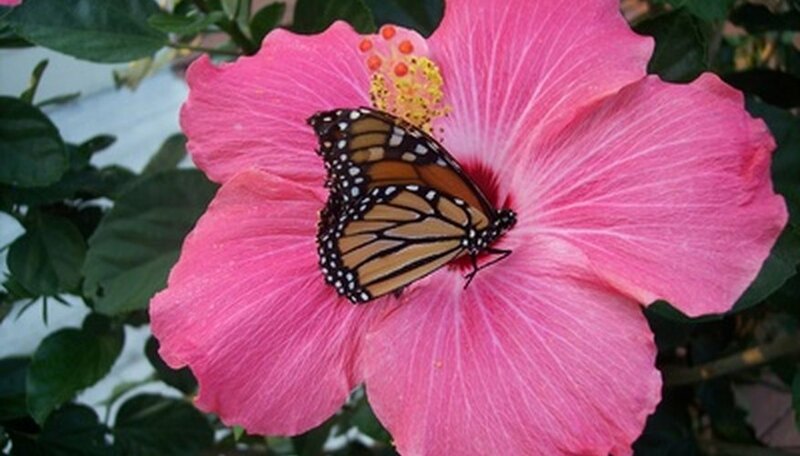 Insects typically pollinate flowers as they move from plant to plant searching for food. Many flowers produce nectar, a sugary liquid that many insects eat. When an insect lands on a flower to feed, pollen grains stick to its body. As the insect moves to another flower of the same species, these pollen grains are transferred to the flower’s stigma and pollination occurs. Perhaps the most well-known pollinator insects are bees and butterflies, but wasps, moths, flies and beetles can be pollinators as well. Many important crops such as apples, pears, blackberries, peaches, alfalfa and almonds depend on pollinator insects. In an article appearing in “BioScience,” experts John Losey and Mace Vaughan report that as much as 15 to 30 percent of the food eaten in the United States depends either directly or indirectly on pollinator animals. Additionally, they estimate the value of pollinator insects to crop production to be more than $3 billion annually. Of all the pollinator insects, bees are perhaps the most important to crop pollination. According to Michigan State University, bees are especially good at pollination because their bodies are covered by stiff hairs that attract pollen electrostatically. In addition to feeding on nectar, bees collect pollen from flowers to take back to their nests. Bees also tend to focus on one flower at a time, thus ensuring flowers of the same species are pollinated. 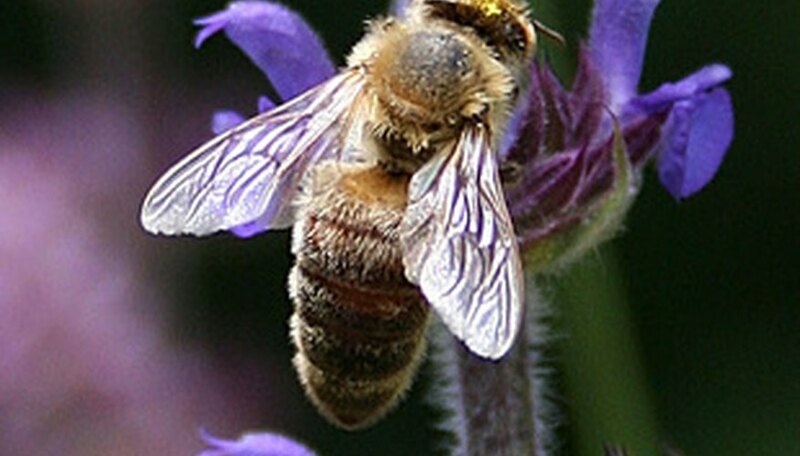 In the United States, European honeybees (a non-native species) are often used by farmers to pollinate crops. Although honeybee colonies are currently in decline, the Xerces Society reports there are more than 4,000 species of native bees in the United States that are capable of meeting much of the pollination needs of many crops. Pollinator Paradise: What is Pollination? Based in the Atlanta area, Charlene Williams has been writing and editing since 1988. She has over 15 years of experience working as a technical writer in the software industry. She has worked as a freelance writer for the past five years, and is a contributing writer for eHow and Answerbag. Williams holds a Bachelor of Arts in English from Kennesaw State University. What do Butterflies do for the Environment? What Characteristics Do Bees & Ants Share? Williams, Charlene. "How Do Insects Pollinate Flowers?" Sciencing, https://sciencing.com/do-insects-pollinate-flowers-6464153.html. 25 April 2017. Why Are Flowering Plants Important to the Earth & Humans?